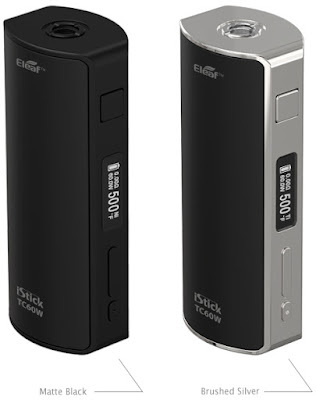 Home / Eleaf / Eleaf Istick / Eleaf iStick TC 60W / iStick 60W / iStick 60W By Eleaf / Eleaf iStick 60W iS A Nice Choice ! The Eleaf iStick 60W is the second temperature control mod from Eleaf. The first was the Eleaf iStick 40W TC. The upgrade in power between the 40W and the 60W is almost fifty percent. It is a huge increase in power between the 40 watt and 60 watt. And the Eleaf iStick 60W only uses one 18650 battery. Comparing the Eleaf iStick 60W to other Mods that have the same or more amount of watts, the one 18650 battery is good. The battery can be charged by either taking out the battery and charging it, or by charging the whole eleaf istick 60w device through the USB. This is a nice choice that the creators made. This feature is not available for all Isticks but is available in the Eleaf iStick 60W TC Mod.